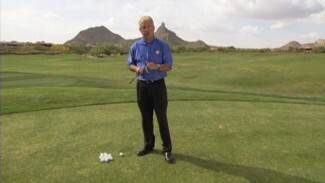 In this video, PGA Professional Mark Wilson explains rule 20-4 of the rules of golf. This rule covers a very important concept of when a ball is or is not in play. Mark explains various scenarios this rule impacts, and how to correctly act to ensure you do not breach the rules. One common misinterpreted detail regarding the embedded ball rule centers on the definition of “closely mown areas”. That is areas mown to fairway height or lower. Not the rough and not the collar or fringe to a green. I think this video needs to have a minute or two dedicated to the definition of “closely mown areas”. Hi, Phill. We would like to let you know that your feedback has been forwarded to the proper department. Your comments are important to us and help with the development of our online video streaming community. What is the ruling/penalty if the ball has embedded on the green almost in the hole. The ball is replaced after the pitch mark has been repaired and before the player can play his next stroke and without him having addressed the ball, the ball falls into the hole. So if the player, prior to the ball falling into the hole had played two stokes deemed to have holed out with his second stroke thus his score for that hole is 2 or does he add a stroke making his score for that hole 3, and in either scenario is there an additional penalty stroke added to his score? Hi, Brian. If the ball had come to rest embedded on the green and the ball was then marked, lifted and then replaced after fixing the ball mark and the ball subsequently rolls into the hole prior to the golfer addressing it, the ball would need to be replaced where it was marked and the player would make his stroke to finish the hole. 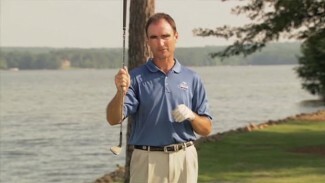 There would be no penalty and assuming with this stroke the player holed the ball, he would have a score of 3. Hope that helps and good luck on your next round. The problem that many golfers face in the last situation is that after looking for your ball for 5 minutes, the group behind you is ready to hit and going back to hit is not an option, especially at a public course. Dropping at an agreed upon spot and incurring a 1 stroke penalty speeds up the game and just makes more sense.